JAPANESE Encephalitis is an incurable viral infection of the brain, spread by mosquito bites from birds and pigs to humans. It is most common in rural areas of south-east Asia and the western Pacific, and often produces no symptoms or only mild flu-like symptoms. A small number (perhaps one in 250) of those infected develop more serious symptoms, and of those up to a third may die of the infection. Safe and effective vaccines are available but may be expensive for rural communities. Mortality is highest in children, and the disease is rare in travellers. Japanese Encephalitis Virus (JEV) is a flavivirus. 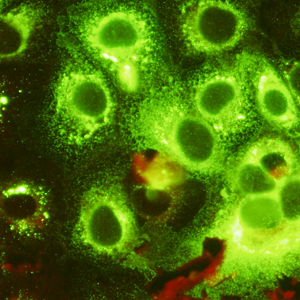 ViroStat has released a new set of monoclonal antibodies to the NS1 protein of JEV. It says these antibodies do not cross-react with related viruses including Yellow Fever Virus, West Nile Virus, TBE virus, Dengue viruses (1-4), and Zika virus. These antibodies form effective pairs for detecting the NS1 protein in Elisa, the company adds. ViroStat’s range of high affinity antibodies include Flu A, Flu B, RSV, and Strep A for use in rapid lateral flow devices, as well as antibodies to food-borne pathogens and toxins.